My friend Mitzie gave me some acrylic-wool yarn from New York when we saw each other last week, and I was excited to knit a cowl out of them! And so, on the feast of St. Blaise (patron saint of wool combers), I set out this yummy yarn together with my 10mm needles. I listened to some podcasts and just knitted away! Usung chunky yarn and 10mm needles are a joy as my project was quick to accomplish. 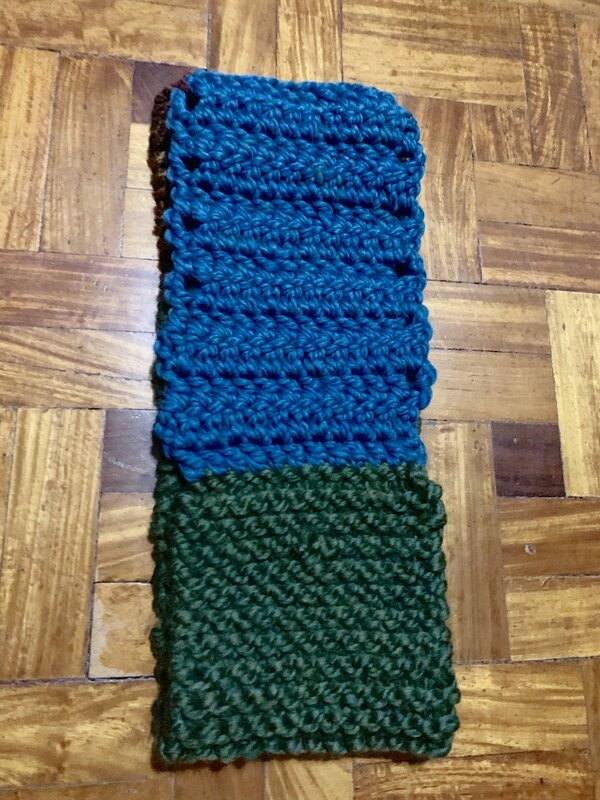 For the blue part, I opted to use a 9mm hook to crochet instead of knitting. The end result is a variation of textures and yummy wooly goodness! 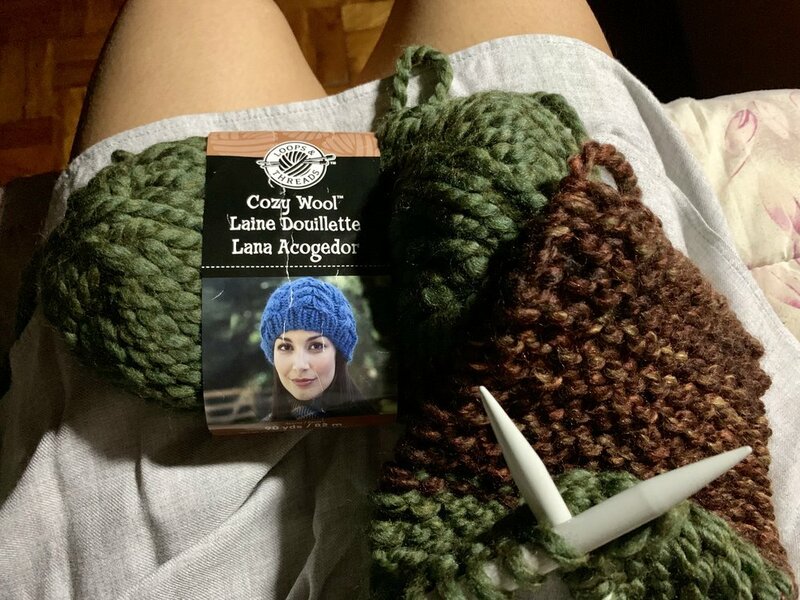 It was wonderful to knit and crochet this cowl while listening to a couple of podcasts. I’m also thankful to receive these yarns from a friend. 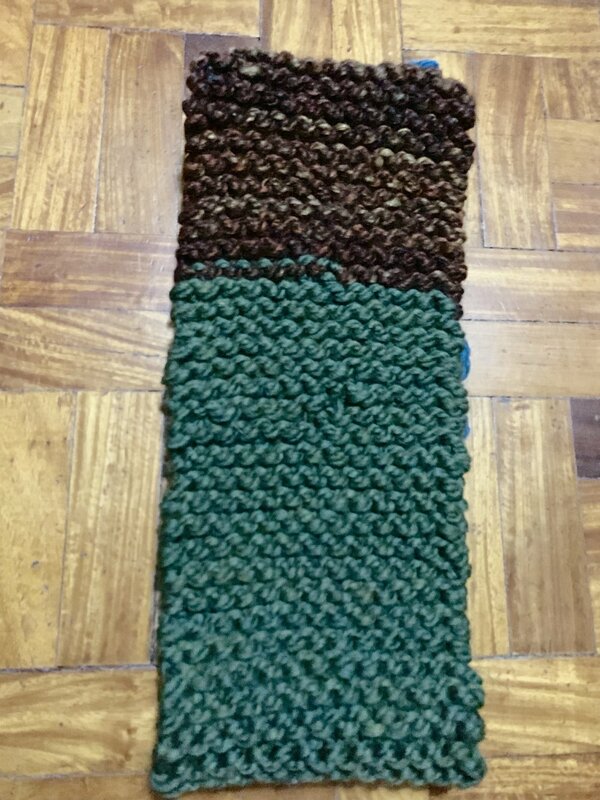 I hope to continue making, knitting, and crocheting!